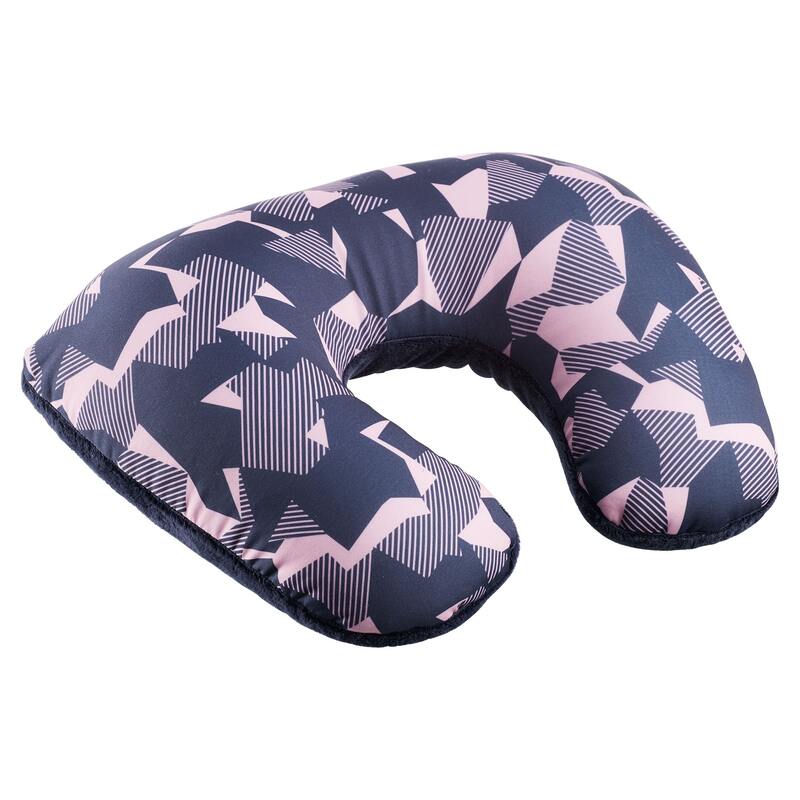 Enjoy some extra comfort while travelling on planes, trains, buses and cars, with our 2-in-1 Travel Pillow. This comfortable pillow can be used as the conventional U shaped pillow to support your neck and head while sleeping, or transformed into a traditional rectangular pillow. Small lightweight beads present in pillow. These can be a severe danger to children if swallowed or inhaled. To transform the pillow, simply open the zip and pull out the fabric pouch. Allow the beads to fill the pouch and then push the cover of the U shape pillow in with the beads and close the zip.